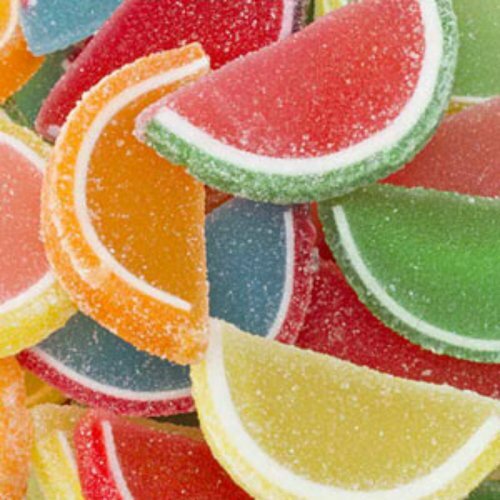 Delicious & succulent jell fruit slices are sure to remind you of the good old times, a classic! 15 fabulous flavors: Assorted, Black Cherry, Blue Raspberry, Cherry, Grape, Lemon, Lemon Lime, Lime, Orange, Peach, Pink Grapefruit, Red Raspberry, Sour Apple, Strawberry Banana, or Watermelon. Quantity: Approximately 28 slices per pound.